Leading Wholesale Trader of clinical infrared thermal imaging system-tiger 4 pro & plus, ultra rugged thermal tablet system for medical application, medical radiometric imaging camera, radiometric ir camera for human health diagnostics, infrared thermal imaging camera for common lab diagnosis and teletherm tiger-4 infrared thermal imagers from New Delhi. Variable-focus with front surface optics (no lenses required - excellent depth of field). 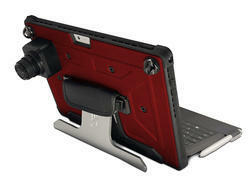 This ultra rugged tablet system uses our ICI P Series IR Camera to capture all of your thermal images. 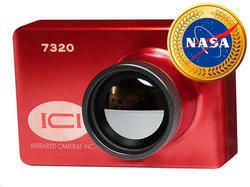 The ICI P Series IR Camera is perfect for capturing 320 x 240 images. Includes our IR Flash Software version 1.0. With the ICI P Series IR Camera you can stay productive and on the go with our certified power system. 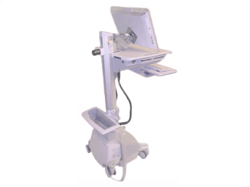 This innovative, truly ergonomic and easy-to-maneuver healthcare cart features sit-to-stand height adjustment, independent screen positioning and an adjustable back-tilt keyboard tray. 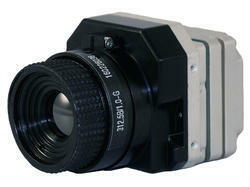 This IR Camera offers unmatched image sensitivity and accuracy in a 640 x 512 radiometric imager. Teletherm Tiger-4 infrared cameras provide high quality still thermograms, captured with reliability & consistency for biomedical, scientific, and health applications. Set to Physiological Temperature Range. Plug into Standard USB Port. 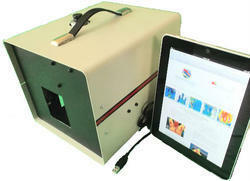 Looking for Medical Thermal Imaging System ?